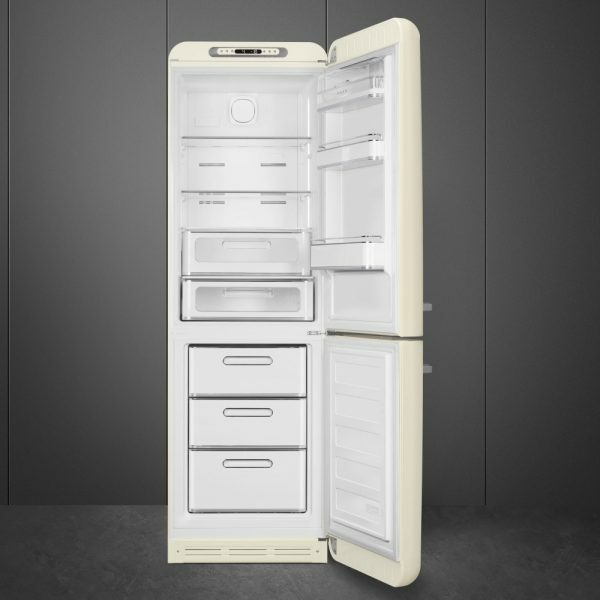 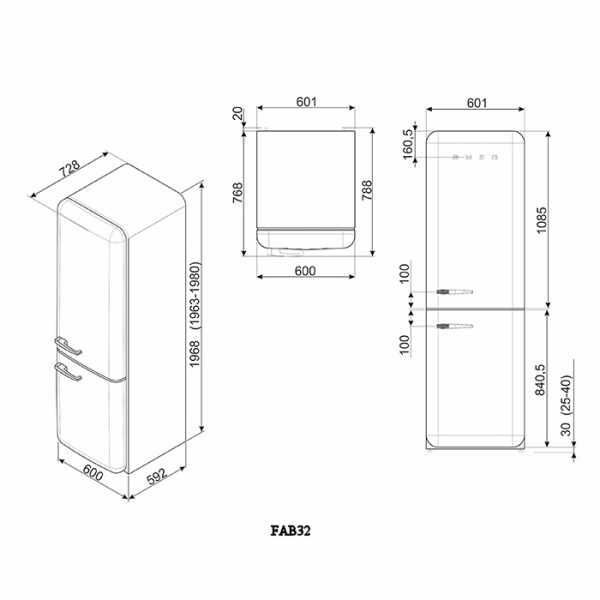 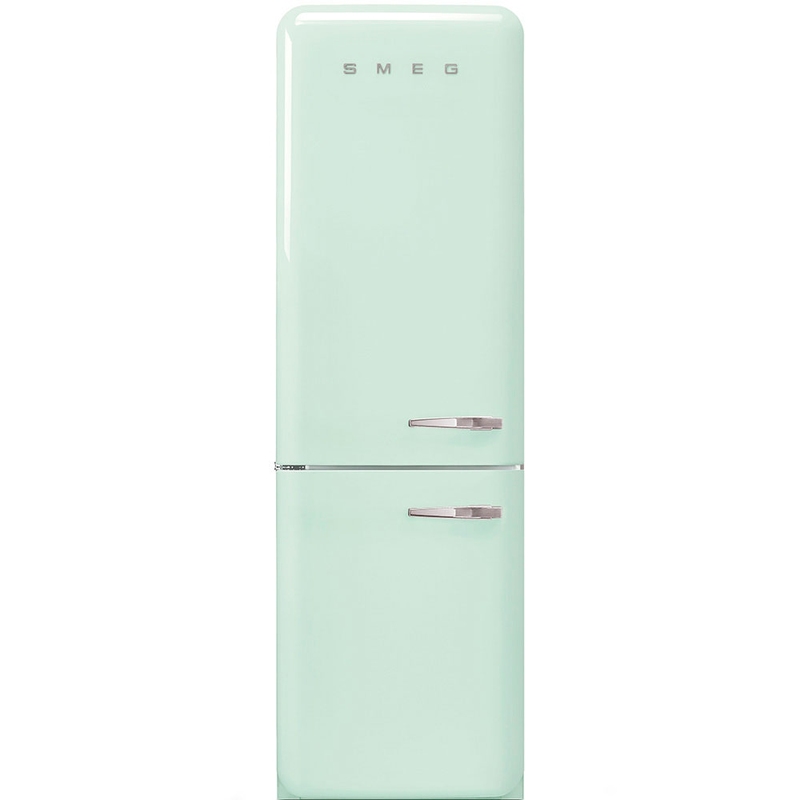 This superb freestanding retro frost free fridge freezer from Smeg is 60cm wide and 198cm tall. It has an A+++ energy efficiency rating and boasts an impressive total capacity of 301 litres. 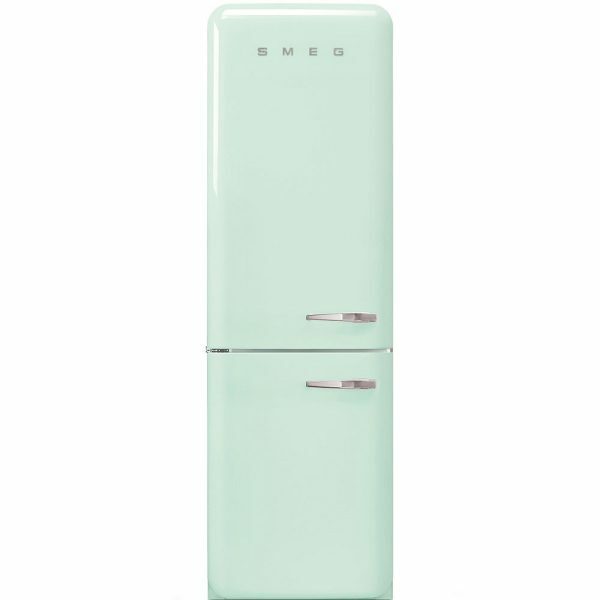 Finished in pastel green it will complement any kitchen.